How a Search Engines Work and Their Three Primary Ranking Factors. Trust is at the very core of Google’s major changes and updates the past several years. Google wants to keep poor-quality, untrustworthy sites out of the search results, and keep high-quality, legit sites at the top. If your site has high-quality content and backlinks from reputable sources, your site is more likely to be considered a trustworthy source, and more likely to rank higher in the search engine results. Previously the most popular SEO strategy, authority is still powerful, but now best used in tandem with the other two principles. Authority is your site’s overall strength in your market. Authority is almost a numbers game, for example: if your site has one thousand social media followers and backlinks, and your competitors only have fifty social media followers and backlinks, you’re probably going to rank higher. Google looks at the contextual relevance of a site and rewards relevant sites with higher rankings. This levels the playing field a bit, and might explain why a niche site or local business can often rank higher than a Wikipedia article. You can use this to your advantage by bulking out the content of your site with relevant content, and use the on-page SEO techniques. Thus moving up search engine ranking. Increasing relevance like this is a powerful strategy and can lead to high rankings in competitive areas. Relevant keywords on the page. User signals (click-through-rate, time-on-site, bounce-rate). 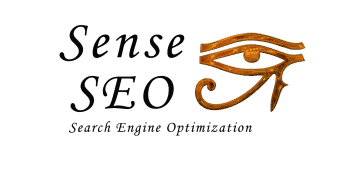 Domain SEO visibility (how strong the domain is in terms of links and authority). Search volume of domain name. Total number of referring domains (unique sites linking to your site). Sense SEO Copyright © 2019. All rights reserved.